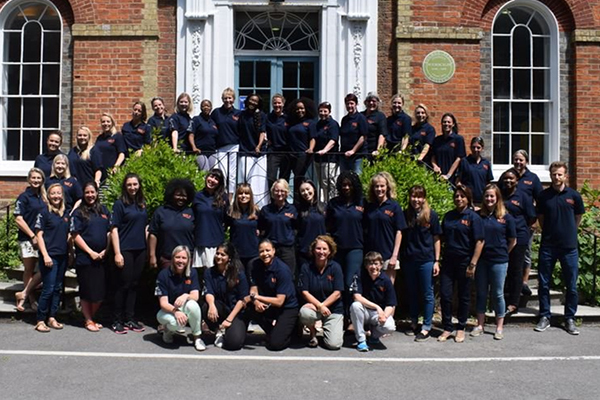 Thirty participants from eleven countries across five continents – including women from Canada, Hong Kong and Russia, three nations newly represented at WSLA – visited the Bognor Regis Campus of the University of Chichester in June for the fourth WSLA residential-week. Organised by Anita White Foundation (AWF) and Females Achieving Brilliance (FAB), and supported by the University, the participants experienced global sport networking, enhanced their confidence and competencies, and developed a set of well-defined skills that will advance their projected careers. 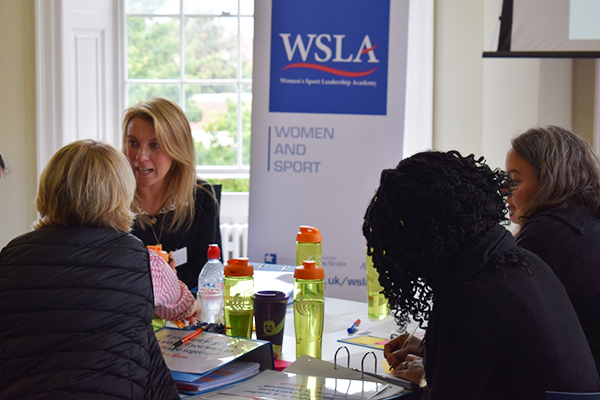 WSLA’s vision is for more women to be empowered to be great leaders in and through sport. The residential week consisted of a dynamic working environment of group workshops, presentations, shared understanding, social activities and challenges. The participants occupy middle-to-senior leadership positions in National Governing Bodies of sport (including the England and Wales Cricket Board, the Lawn Tennis Association and The Football Association), sport for development organisations (including The NAZ Foundation India and the Pula Sport Development Association Botswana) as well as organisations such as the Youth Sport Trust, the Commonwealth Secretariat, and the International Working Group on Women and Sport. 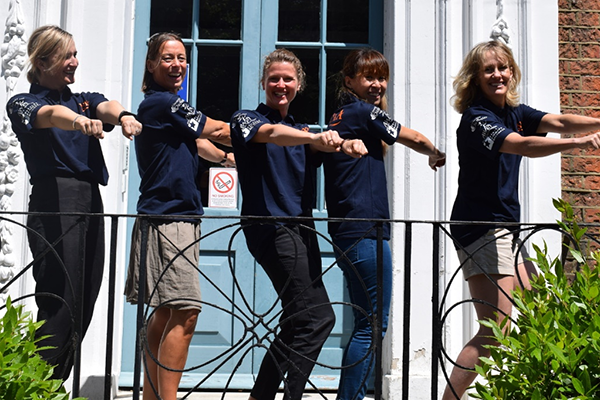 The World Rowing Federation continued their commitment to WSLA by supporting women from Australia, Canada, Germany, Hong Kong, Russia and the UK (pictured). There was also a strong presence of African participants and facilitators (pictured). The content for the week is developed year-on-year. Particular attention for WSLA 2017 was directed toward the following leadership behaviours: providing direction, creativity and innovation, performance management, self-management, and communication and team/partnership working. Many of the workshops, activities, support networks and individual learning elements reflected these behaviours to enable the participants to write a personal development plan to work toward post-WSLA 2017. “I’m finding lots of different opportunities to play various roles and it’s taking me out of my comfort zone but in a safe environment. 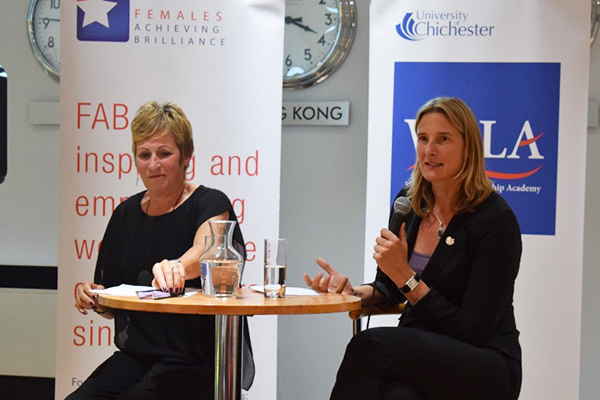 I’m working on facilitating, bringing out the coach in me, learning how to ask insightful questions and how to support others around me” (Hannah Murphy, Head of Public Policy, England & Wales Cricket Board). The Thursday evening of WSLA continues to be a highlight of the week. An evening of celebration open to participants, donors and supporters of WSLA, included special guest speaker Sarah Winckless (pictured). Sarah is an Olympic bronze medallist, a World Champion rower, and the Chef de Mission for Team England at the 2018 Gold Coast Commonwealth Games. Sarah reflected on her journey to becoming an elite athlete, including the challenges she faced and the motivation she needed to bounce back from negativity. She instilled further determination into all present of the need to continue to advocate for women’s advance in sport. Throughout the week the participants worked in Home Teams. 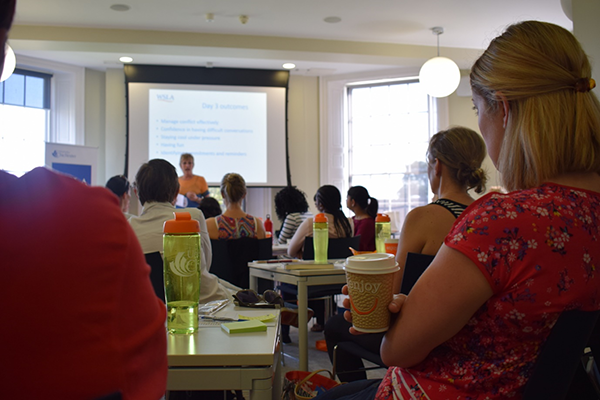 These teams met regularly to reflect on learning, raise issues and concerns, discuss hot topics, and provide support and encouragement. The evening ended with ‘Wonder Women’ collecting a prize (pictured) for being the leading Home Team during the week. WSLA 2017 welcomed the return of two graduates to train as international facilitators. 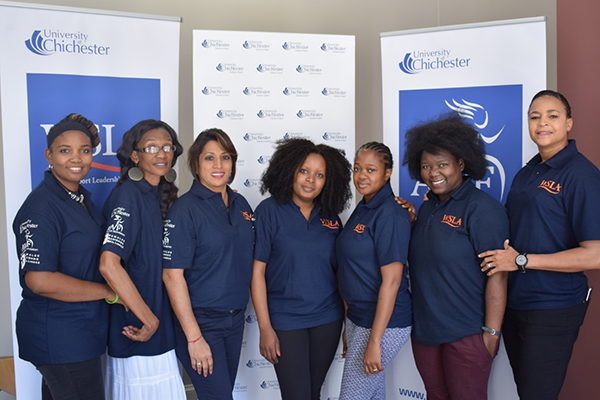 Nisha Rupnarain (South Africa – 2014 graduate) and Tsosi Magang (Botswana – 2016 graduate) join Caroline Nyamande (Zimbabwe – 2015) and Rachel Muthoga (2014 – Kenya) who returned in 2016. 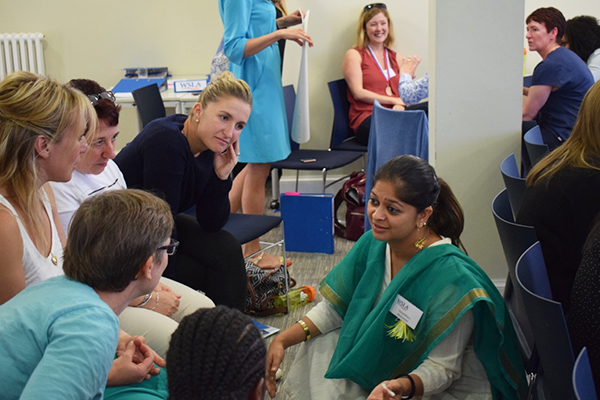 This is part of a broader commitment by the AWF to ensure WSLA’s sustainability and to invest in women leaders from around the world. The plan is for these four women to be facilitators at WSLA Botswana in May 2018. 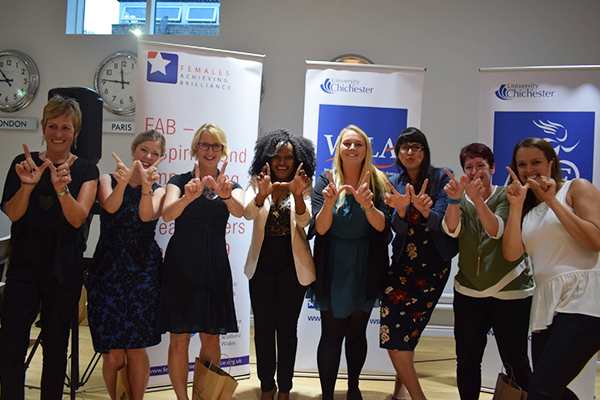 Claire Bennett, Linda Low (2014 graduates) and Jade Moulden (2015 graduate) also joined the enlarged facilitator team superbly led by Pauline Harrison and Lucy Faulkner of FAB.